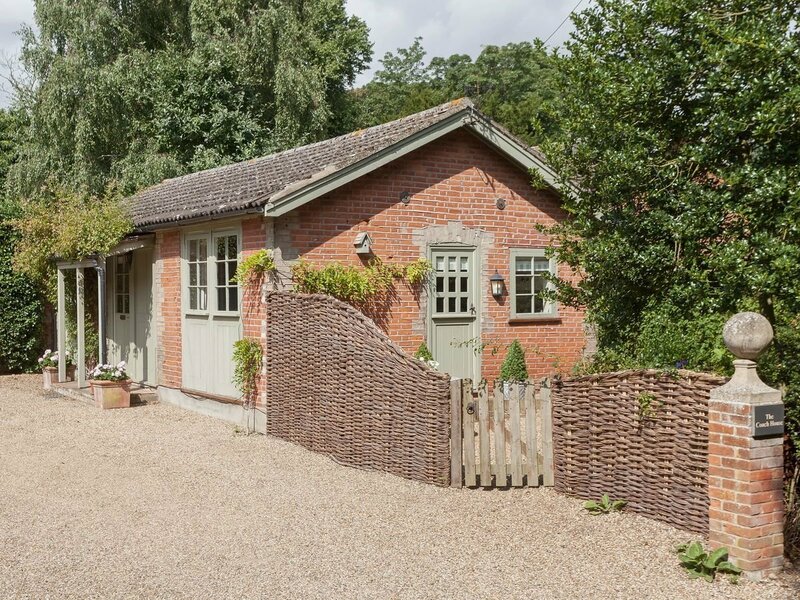 This lovingly restored, quaint, cosy, detached cottage makes an ideal romantic country retreat. Well-appointed and stylishly furnished, it has a pretty cottage garden (accessed by a stable door), ideal for al fresco dining or enjoying a glass of wine on a balmy summer’s evening. An ideal holiday location for exploring the delights of both Suffolk and Essex - the Suffolk Heritage coastal resorts of Southwold and Aldeburgh are within an hour’s drive. Many nearby attractions include Dedham Vale and Constable Country with Flatford Mill and Sir Alfred Munning’s house. Ideal bird-watching and walking area; fishing and tennis nearby. Alton Water is on the doorstep with bicycles, sailing dinghies and windsurfers for hire. Jimmy’s Farm (from the TV series) is also nearby. Farm shop 50 yards, pubs 1 mile.Step to entrance. Open-plan living/dining room with rugs on wooden floor and modern kitchen area. Double bedroom. Bathroom with over-bath shower and toilet.